Kaitlin has so much energy that I always enjoy bringing her to indoor playgrounds just so that she can go all wild jumping here and there without me having to worry that she'll get hurt. So far, we've been to Go Go Bambini, Hokey Pokey, Amazonia and Fidgets and they've all got their pros and cons. I've always wanted to check out Happy Willow located at Fusionpolis, but haven't had the chance to. Thus when the opportunity came to check out the playground with some of the SMB moms, I couldn't say no! Great chance for K to have fun, plus I get to meet some of them mommies whom I've mostly only chatted with online. Frankly speaking, when you first get to Happy Willow, your initial thought might be the same like mine.."Is that small space going to keep my kid entertained?!" But well, I'm here to reassure you that it's more than enough especially if your kids are below 5 like mine. At the entrance, they have drawers for you to keep your shoes, and also chairs for your little ones to sit comfortably while they change into or out of their socks. Happy Willow also has quite a large area for parents to rest and relax. Not just chairs, but they've got couches too. On top of that, they've also got a cafe where you can get some nom nom and drinks. 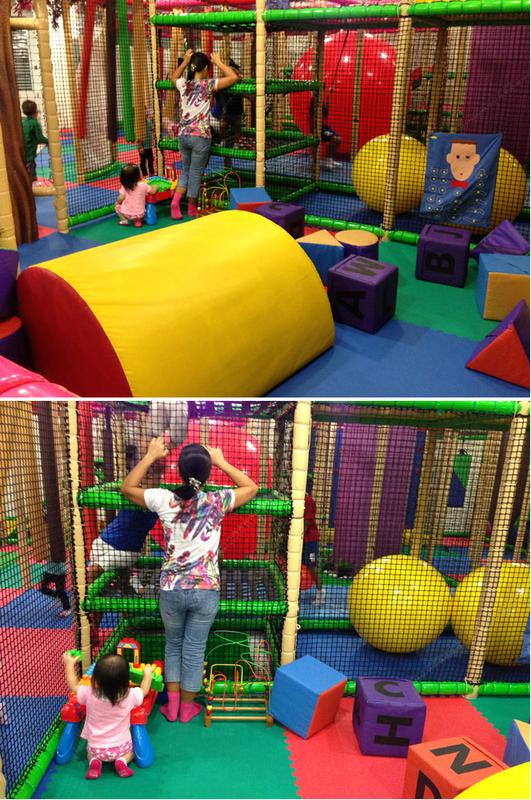 Now on to the play area - the most fun part! When K first arrived, she was in tears cos she thought I was dropping her off at a new school. That's cos she was supposed to go to school that day, but I decided to just let her skip the holiday program and bring her to the playground instead. So instead of a happy Kaitlin, I got a teary eyed one. 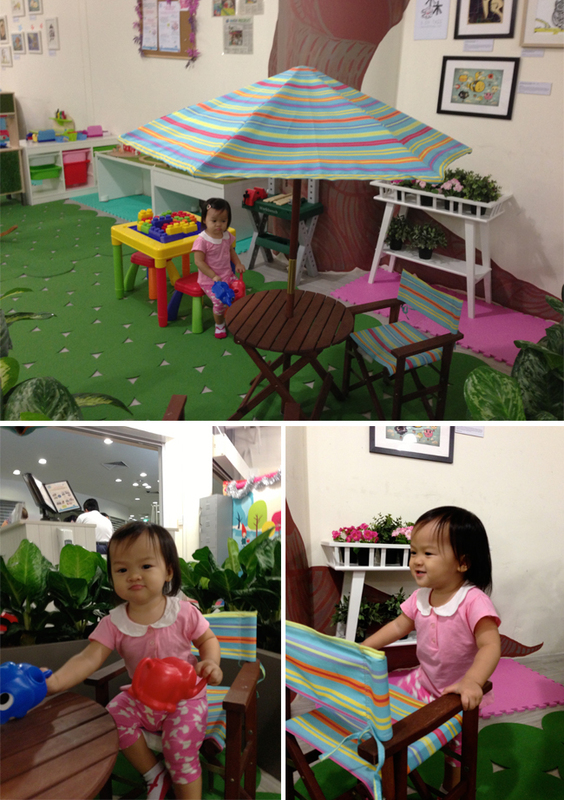 This was her when she just entered the play area at Happy Willow. A little wary of her surroundings as you can see, but she still wanted to play. 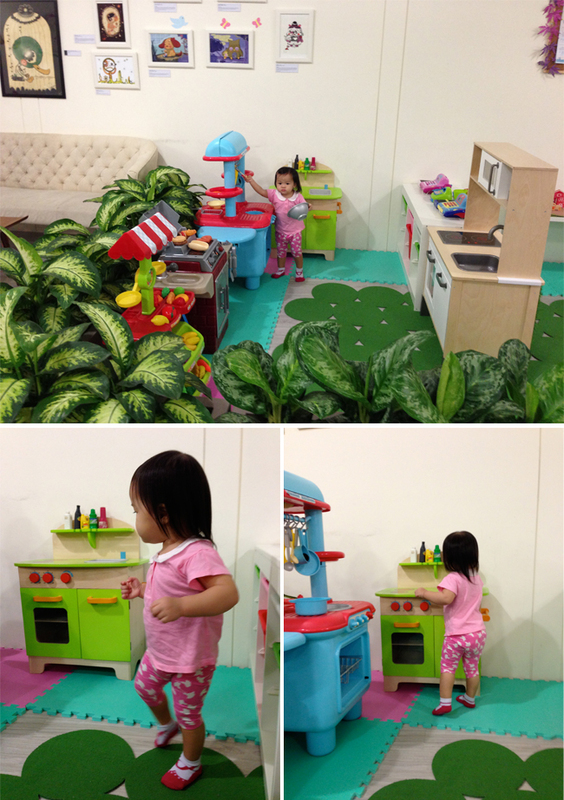 She kept going back to this area as I expected cos she loves to pretend play cooking at home. My initial first thought was "Thank god this indoor playground had a pretend play area! ", cos K has yet to reach that stage where she wants to be climbing all the way up tall structures in an unfamiliar place. 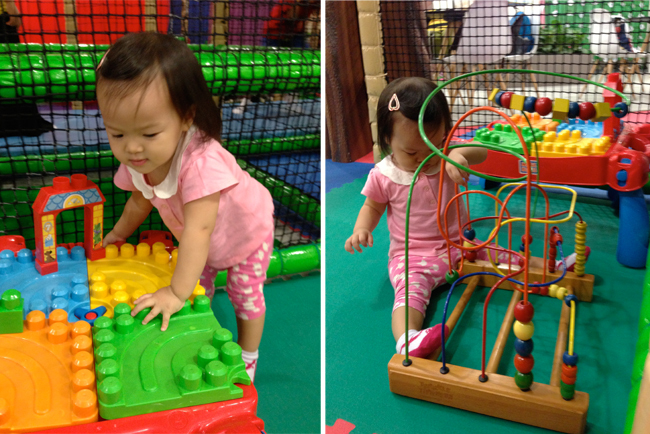 She loved to play with that spinning structure above as well. She was really tense when on it, but she kept wanting to play, so I guess she loved it but was a little scared that she herself might fall. Within the Kid's Den, K also enjoyed playing with the slide. Kept going up and down to slide, and even tried to climb up the slide so that she could slide down again. She didn't really explore the other areas where the bigger kids were. She didn't show much interest, and I think she was a little intimidated by the big kids as well, but that's fine cos I know she'll reach the age where she'll be running around faster than I can keep up. So when that age comes, I'm sure she'll enjoy playing in the Kid's Den even more. 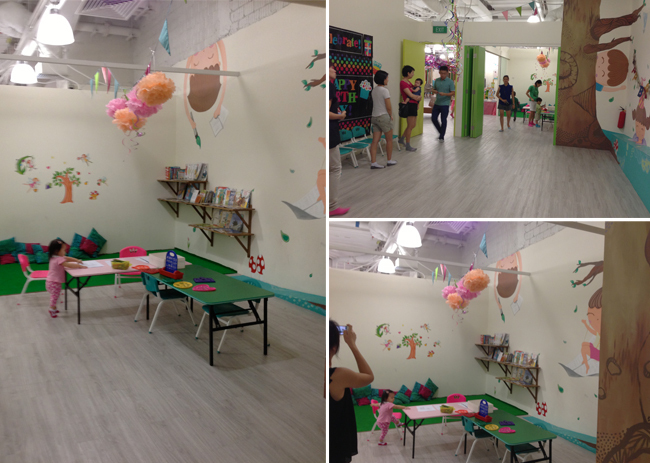 They also had a separate area with lots of padded structures and baby friendly toys. I find it perfect for those with babies who are just starting to crawl and cruise. As you can see even though K's almost two, she still enjoyed playing there. Goes to show that not only the young ones will be entertained. The books below are a selection of books that Happy Willow sells. 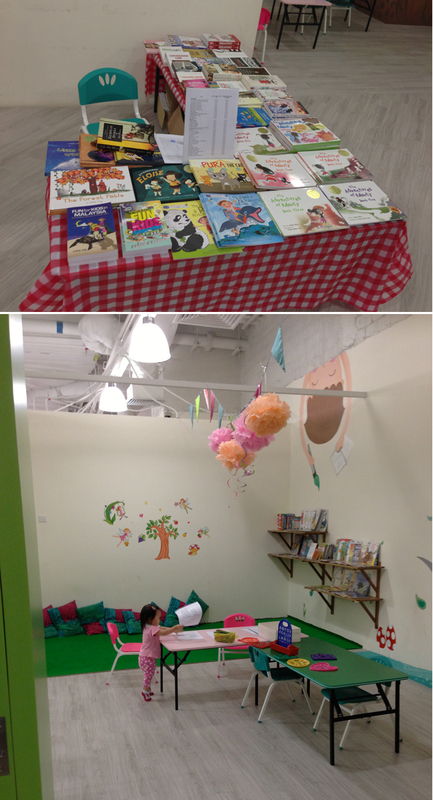 Besides that, they've also got colouring activities and a reading corner for kids to relax and read a book after all that playing. If you are interested in holding your child's birthday party at an indoor playground, Happy Willow does that too. They've got two areas for you to choose from and if you've got a huge crowd, you can combine both areas into one. I personally like that cos most places will only be able to at most offer you two separate rooms. 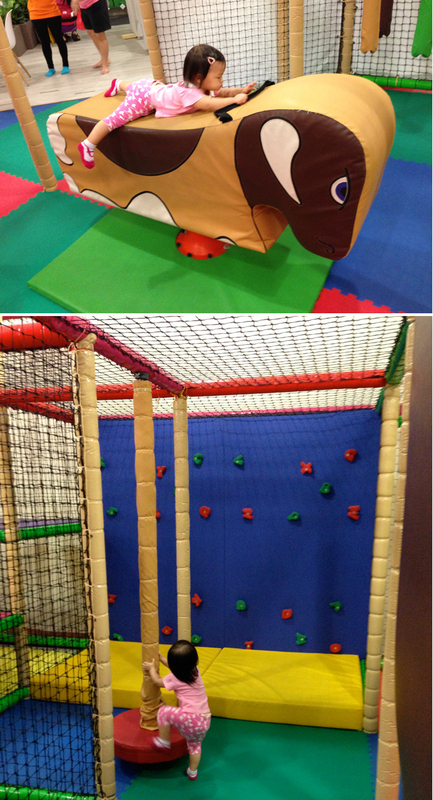 Besides all of the play areas, Happy Willow also plans activities such as storytelling and craft sessions. I've yet to come across this at the indoor playgrounds we've visited, so it's something different that I like. Overall, I find that Happy Willow is definitely an indoor playground worth visiting and I've added it to my "to-go indoor playground" list. It's very clean and safe enough for kids of all ages to play in. K did fall and cry but no injuries at all cos of the padded surfaces. Location wise, it's easily accesible by public transport. It's located on the Circle Line, and you just have to take an escalator up from the MRT station and you're there! Ideal for people like us who don't own a car. Despite it's slightly smaller space, it's definitely still able to keep the kids entertained with a variety of play areas from the pretend play corner to the Kid's Den. I feel that in a big space, it sometimes can get quite frustrating as there will be so many kids around running around in a huge space, and it can get difficult locating your 6 or 7-year old kid when you've left them for just a while. 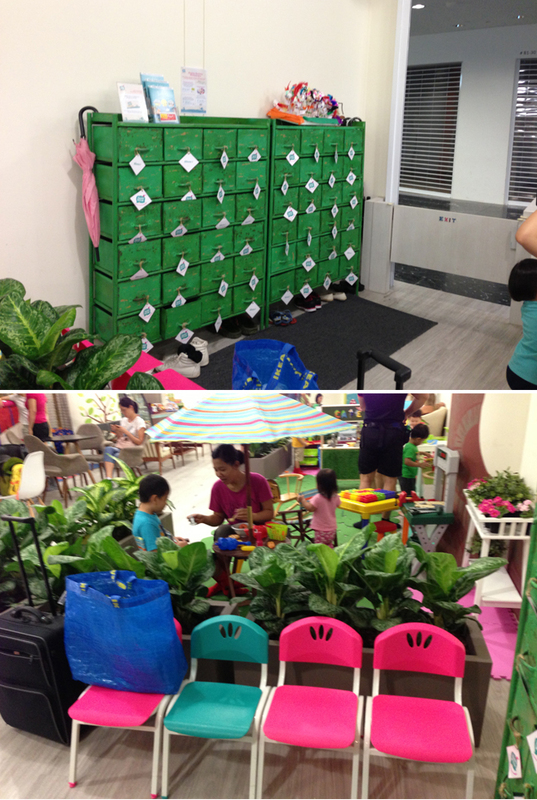 Besides the ample space for parents to relax they've also got baby chairs and a changing table as well. That means you don't have to rush to the nearest baby room when a sudden diaper change is needed. 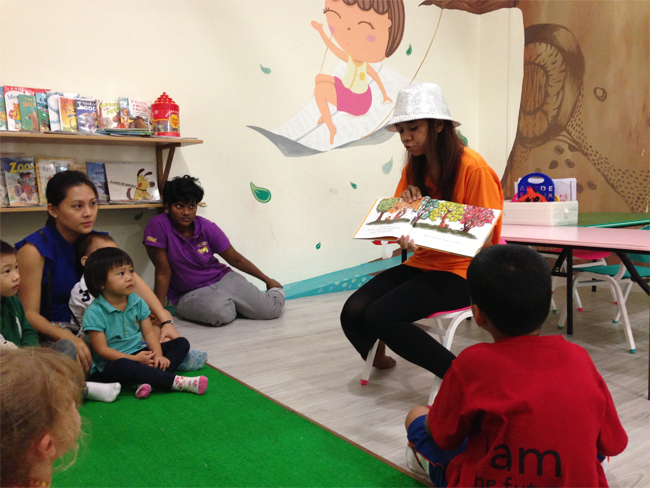 Since it's the June Holidays, why not drop by and check it out with your kids? Admission Fees: $18 per child (2yrs old and above), $10 per child (9 months - < 2yrs old) for weekdays 3-hour play/ weekends 2-hour play. 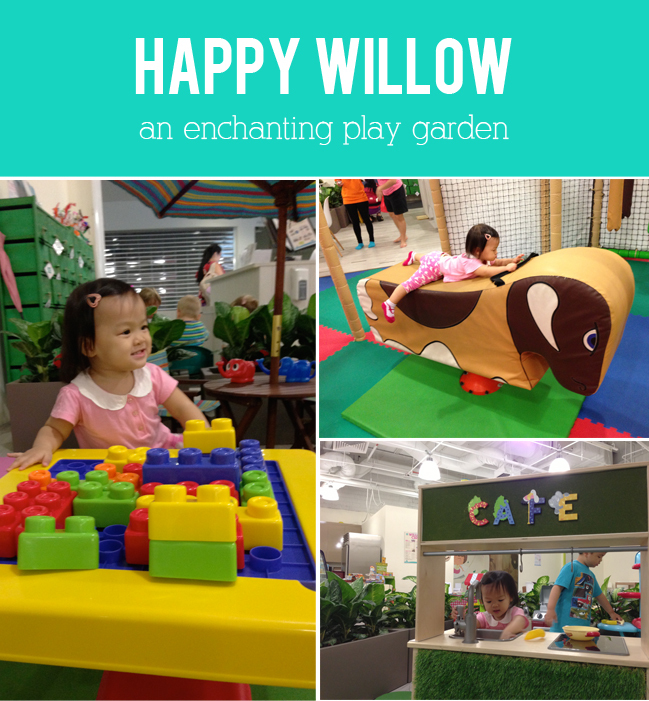 Disclaimer: We were invited by Happy Willow to check out their indoor playground for the purpose of this review. All content and comments are based on my own opinion and was not influenced by any external factors. Yayy you guys visited Happy Willow! Glad that Nat loves the place and I'm happy you found my post useful :) Wishing you and Nat a happy weekend ahead!